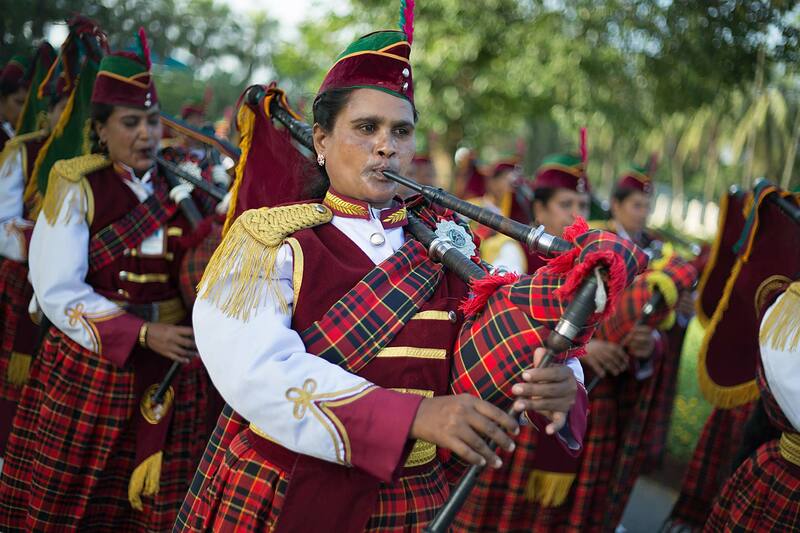 The Queen's Baton arrived at the airport in Dhaka, and was met by military pipe bands, before being carried by Bangladeshi athletes into the capital, in Bangladesh, on Monday 14 October 2013. This is the second country to be visited during the Asian leg of the baton's journey through 70 Commonwealth nations. Photograph by Jeremy Sutton-Hibbert, copyright © Glasgow 2014 Ltd, 2014.